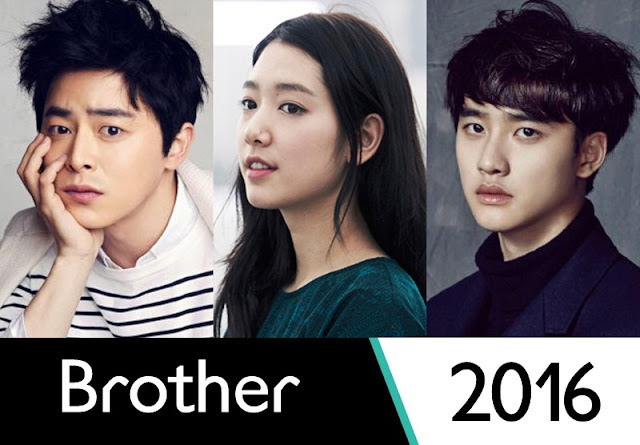 Cho Jung-Seok the lead cast of Brother a Korean Movie releasing 2016. We recently finish watching his drama Oh My Ghost and he was really awesome. Other than this we also watched him in Kings 2 Heart. The gorgeous Park Shin Hye will be the female lead cast. We had seen her in many dramas. The story for brother is about Doo-Sik (Cho Jung-Seok) gets paroled from prison thanks to his younger brother ( Do Kyung-Soo) Doo-Young. Doo-Young is a promising judo athlete. After 15 years, Doo-Sik (Cho Jung-Seok) suddenly appears in front of Doo-Young and they begin to live together. Doo-Young becomes involved in an accident before the selection for the national team. Just can't wait to see the movie. The plot is already interesting but there is a twist what's that it will be reveal when we watch the movie.